Sergio Leone's film Once Upon a Time in the West set out to be the ultimate Western – a celebration of the power of classic Hollywood cinema, a meditation on the making of America, and a lament for the decline of one of the most cherished film genres in the form of a "dance of death". With this film, Leone said a fond farewell to the noisy and flamboyant world of the Italian Western, which he had created with A Fistful of Dollars and sequels (1964-6), and aimed for something much more ambitious – an exploration of the relationship between myth ('Once Upon a Time...'), history ('...in the West') and his own autobiography as an avid film-goer. With Once Upon a Time in the West, several of Leone's dreams came true: to work with Henry Fonda – a hero of his youth in suburban Rome – to make a star of Charles Bronson as he had of Clint Eastwood, to integrate musical score and visual image by recording the music in advance of filming, to re-boot some of the most hallowed moments of Hollywood Westerns, and to shoot among the buttes and mesas of Monument Valley, John Ford territory. This would be a horse opera in which the arias aren't sung, they are stared. Once Upon a Time has since inspired several generations of filmmakers worldwide. Its combination of 'film about film' with an angry historical epic, told with great style, has resonated for half a century, and its reputation has steadily grown. This book, by the world-renowned authority on Sergio Leone Christopher Frayling, includes revealing personal interviews with all the key players involved in Once Upon a Time in the West – in front of the camera and behind it – a wealth of never-before-published documents, designs and photographs, and the latest research into the making of a masterpiece, shot by shot. It is introduced with a foreword by Quentin Tarantino. 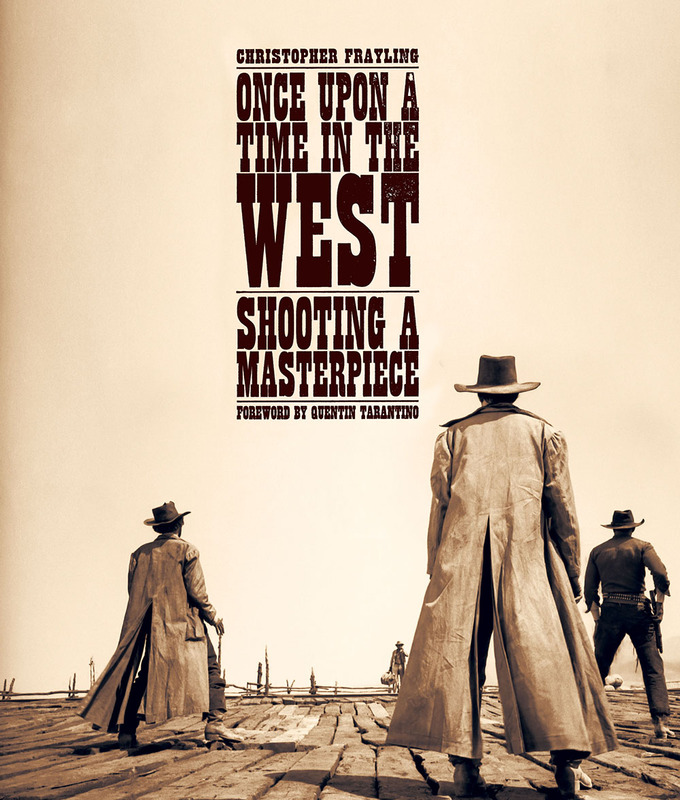 This year is the 50th anniversary of Once Upon a Time in the West and this richly illustrated book is a suitably spectacular birthday tribute.